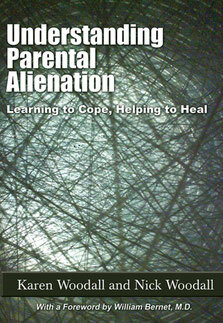 Working in the field of family separation it is never possible to be far away from the problem of domestic violence. I was therefore interested today in Therea May’s speech to the Police Federation and her fears that victims of domestic violence are still being ‘let down.’ In this speech, where she reminded oficers to ‘think of Hillborough’, May called for all police officers to understand the patterns of violence so that they can be spotted and stopped earlier. In many ways the issue of domestic violence is a thorny one within the overall landscape of family separation. 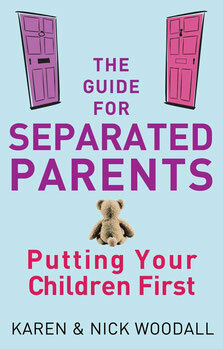 For some, it is at the heart of family separation and must drive all policy and practice around it, for others it is a problem which causes false allegations and is used as a tool to prevent relationships between children and a parent (usually a father). For practitioners who work with family separation, understanding domestic violence and the way in which it is responded to is a serious business. Serious because it can, at the outer extremes, mean the difference between life and death for parents and children or the complete and utter destruction of the relationship between parents and children through false allegations. Either way, domestic violence is an issue that must be taken seriously across all of its manifestations. But domestic violence does not have to be considered in this way for it to be taken seriously and in fact, to pursue an understanding of domestic violence in this one, narrow focused way, can put men, women and children at serious risk of harm. There is a huge body of research, both in this country and across the world, which has focused upon a much more nuanced understanding of the ways in which violence in families is present and it seems vital, to me, that the police and indeed anyone working with the issue of violence in the home has access to a more sophisticated way of understanding and responding to it. Domestic violence is not an issue which can be reduced to sound bites and it is not an issue which can be shoe horned into an idealogical argument about male power. The fact is that the statistical evidence of who perpetrates violence in the home demonstrates that it is caused and experienced by both women AND men. As ONS figures show, in 2014, 7.1% of women experienced it and 4.4% of men experienced it too. However we deal with those figures, the reality is that violence in the home is not a gendered issue in the way we are told it is and the police, who are on the front line, should know about that. In doing so it may stop the arrest of the men who dare to speak up about it only to find themselves being seen as the cause of it and it may also enable more women to get the help that they need to deal with their rage behaviours. All of which allows us to get closer to the issue of violence, deconstruct our understanding of it and build new strategies to address it. Strategies that safeguard our children and strategies that ensure that we are working with mothers and fathers in ways that reflect what happens in their real lives, not in the lives that we are told that they live by lobby groups who depend upon one narrowly focused understanding of the world around us. Violence and family separation often go hand in hand but, the existence of it does not mean that we must automatically exclude fathers from children’s lives based on an assumption that they will be dangerous to their children. For to do so, based upon the same assumption and informed by the empirical evidence, we would be forced to do exactly the same on a routine basis to separated mothers too. Breaking out of the male power and control paradigm means also being able to step out of the control that the domestic violence lobby has over our understanding of the issue and being brave enough to challenge that and replace it with a more realistic understanding. Doing so takes courage but it also offers services to families which are more protective not less and more focused upon their real needs in ways that truly assist them to change. When it comes to the police being able to understand and respond to patterns of violence it means interventions which interrupt generational behaviours to bring better outcomes for children who are witness to those. And because men and women are human, they are each capable of good behaviour and each capable of harm and they each, without exception, deserve to be understood and helped to the best of our ability. (1) It pains me to have to single out one organisation that has behaved reprehensibly on this issue. I would be the first to acknowledge that the National Society for the Prevention of Cruelty to Children has done a lot of good work in raising awareness of child abuse and campaigning against it, promoting good practice by engaging children, and raising substantial funds for services for vulnerable children. Many members of my party in my constituency enthusiastically raise money for the NSPCC, as I have in the past. However, during the proceedings on the Bill in the Lords, the NSPCC put out a briefing note that attacked our amendments as a threat to the safety of children, yet produced no evidence to support its claim. In effect, it is saying that if a non-resident parent—predominantly a father—benefits from a presumption of contact, he is more likely to do harm to his own child. The Parliamentary Under-Secretary of State for Education and Skills (Maria Eagle): Will the hon. Gentleman give way? Tim Loughton: Let me finish and I certainly will. In support of its claim, the NSPCC cites the fact that 29 children were killed over the past 10 years during contact visits to non-resident parents. That is an appalling figure. However, it ignores its own research, which shows that over the same period some 800 children have died at the hands of resident parents or carers, and the 2000 publication “Child Maltreatment in the UK”, which showed that violent treatment was more likely to be meted out by female carers than male ones. (3) Beyond violence: Breaking cycles of domestic abuse, Dr Elly Farmer and Dr Samantha Callan, Centre for Social Justice, 2012. (4) Johnson 2005, quoted in Different types of intimate partner violence, Dr Jane Wangmann, Australian Domestic & Family Violence Clearinghouse, 2011.